If you’re like me, the thought of posting something for sale doesn’t get your lords a-leaping. In fact, sometimes it hardly seems worth the hassle. This is why a lot of these outdated electronics end up sitting in the closet or a junk drawer until they’re practically given away at the next garage sale. Surely there’s a better way to get something for your first generation iPad, right? Well as a matter of fact, there just might be. Many retailers offer trade-in programs which minimize the burden of cashing-in on these older electronics. Target, Wal-Mart, Best Buy, and Amazon are just a few examples. In addition, there are also other non-retail companies, such as Gazelle and Nextworth, which will pay for your electronics. With these programs, you will get more value out of your item if it is newer, is in good shape, and if it is accompanied by original accessories and packaging. This really isn’t any different from selling it anywhere else. Take a look at Amazon’s condition criteria to get an idea of what’s taken into consideration when valuing your item. Although similarities exist, not all programs are created equal. For example, there are two main types of programs: buy-backs and trade-ins. Buy-back programs usually involve an up-front fee but guarantee you a certain amount of money later for your item (as long as the conditions of the agreement are kept). On the other hand, there aren’t any fees associated with trade-in programs, but there’s also no guarantee of price or acceptance. Moreover, some programs will offer you payment in the form of in-store credit while others will pay cash. With all this in mind, as you untie the bow and peel back the paper on that iPhone 5 this year, think ahead and be sure to save the box! Merry Christmas and Happy Holidays! 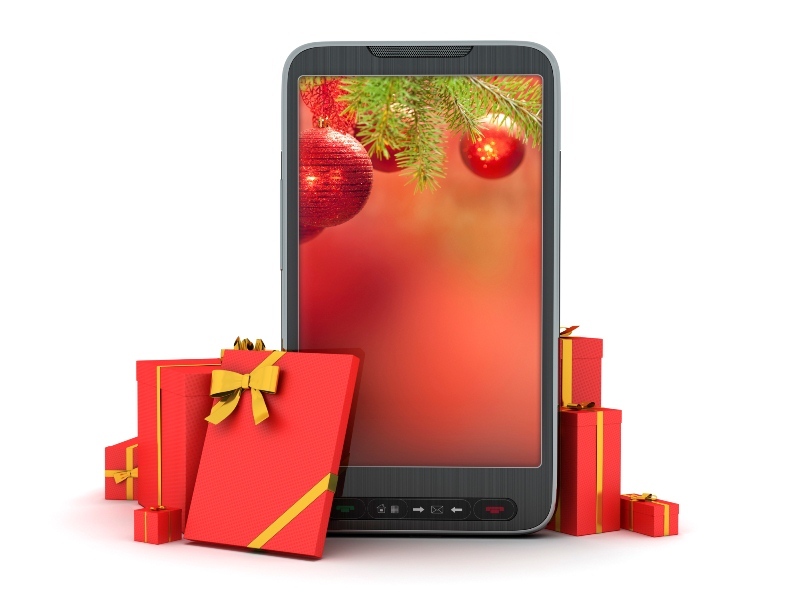 What gadgets are on your wish list this year? Do you have any experience with a buy-back or trade-in program for electronics? Post a comment and let us know. ← Trim Your Tree with Safety! It is interesting to note how many will trade their iPhones for a new one next year. Probably a lot. The question is where. As for me, I will go to Ebay or at CashForLaptops just to salvage something from it. Nice post I’m considering setting up a trade in program. Thanks! I’m glad you found this post helpful. Good luck with your trade.